Stuart Cohen A.I.A. was born April 11, 1934, in Brooklyn, New York. He is married, has two sons and one daughter, eight grandchildren and resides in Weston, Florida. Mr. Cohen received his “Bachelor of Architecture” degree from Pratt Institute, Brooklyn, New York, on June 1st, 1956. 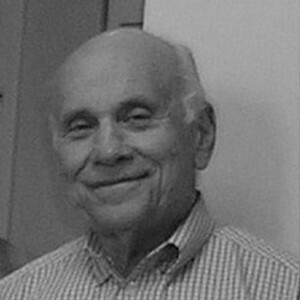 Mr. Cohen won first prize in a national A.I.A. competition in 1955, and he has had student work published in “Architectural Forum,” “Progressive Architecture,” and “American Cities”. Upon graduation, he received a commission as Second Lieutenant in the United State Army, and served in the Corps of Engineers at Fort Belvoir, Virginia. He continued his military career by serving in the Army Reserve, retiring with the rank of Captain. Mr. Cohen (R.A. #2895) received state registration on September 13th, 1960. He became a full member in “The American Institute of Architects” (A.I.A.) on February 3rd, 1964, after serving the required period as associate member. He moved to Miami, Florida during 1957 and further his architectural background by being associated with prominent local firms between 1957 and 1961. From 1961 to 1978, Mr. Cohen was president of “Marchesani, Cohen and Associates – Architects P.A. The firm was located in at 100 Westward Drive, Miami Springs, Florida. In January of 1989 the firm name was again changed to “Cohen Freedman Encinosa and Associates Architects P.A.” The office is presently located at their own building at 8085 N.W. 155 Street Miami, Florida.